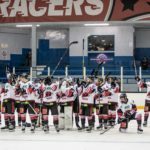 Murrayfield Racers made it two-wins-out-of-two in the Scottish National League (SNL) with a comfortable 14-1 victory at Dundee Tigers on Saturday. Michael Ireland and Martin Cingel gave the Racers a two-goal lead, but Pavel Pliskov halved the deficit towards the end of the opening session. The visitors stepped things up in the second period, with goals by Daniel Abercrombie (2), Aaron Robertson, Ethan Reid, Cingel and Ireland making it 8-1. Debutant Lewis Young took centre stage in the final period, bagging a memorable hat-trick. Reid also completed his treble, with Joel Gautchsi rounding off the scoring to make the final score 14-1. 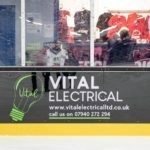 The Racers welcomed Solway Sharks to Murrayfield Racers on Sunday for their latest venture in the NIHL North Cup and produced one of their best performances in the competition to date. 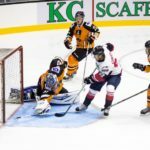 The home side pushed the Moralee D1 side hard throughout the game, eventually falling to a 6-4 defeat – Ross Borwick (2) and Gautschi (2) were on target for the Racers. Murrayfield are back in action on Saturday with a visit to Kirkcaldy Kestrels in the SNL. They return to home ice the following day against Dundee Comets in the Stuart Robertson Cup. GET YOUR TICKETS FOR SUNDAY’S GAME HERE.